Like striped tops, I'm obsessed with slogan t-shirts and can't seem to stop buying them. I've amassed quite a collection, so I thought it would be a good idea to feature them in the How to Style series. Since they're inherently casual, there will be two dressy looks and one casual look. This look is the first dressy one and is what I wore to buy flowers at the Columbia Road Flower Market. As for accessories, I think the black lace up heeled sandals make the outfit look dressier too. The low block heel makes them day-appropriate and easy to walk in. 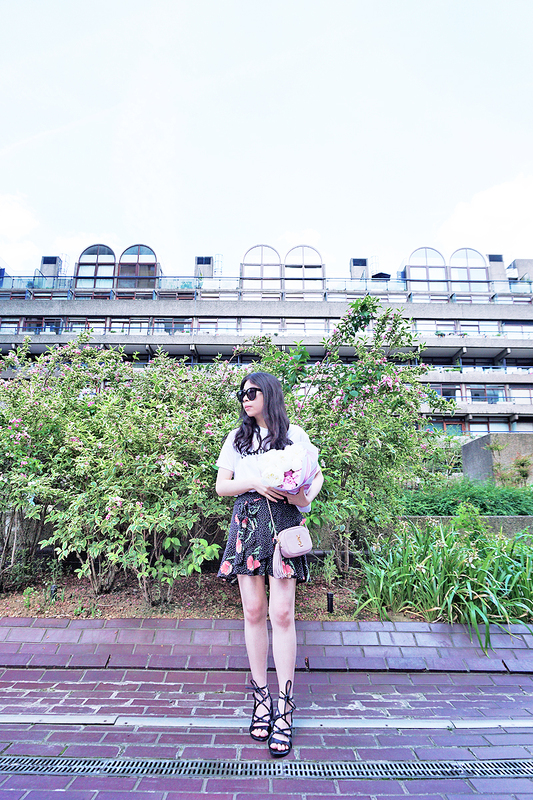 Since the sunglasses and shoes were black, and the skirt was navy, I wore my blush pink Saint Laurent 'Blogger' bag to lighten up the outfit. 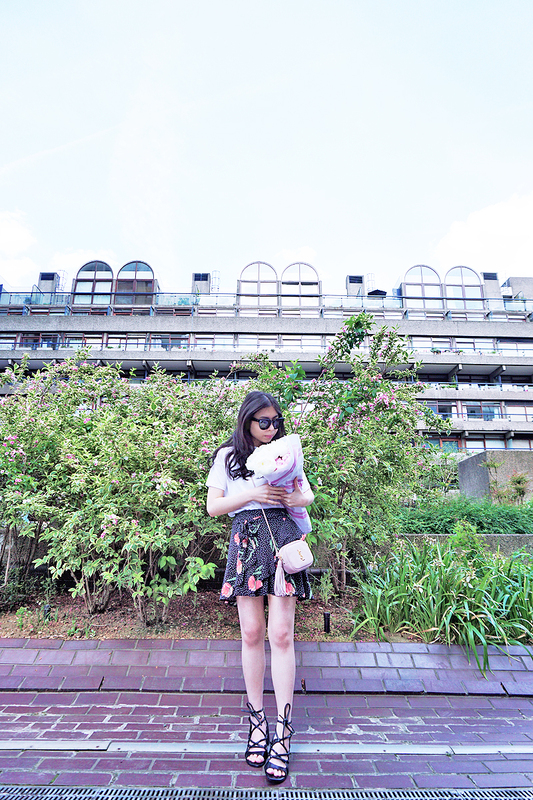 It also matches the femininity of the skirt and the pink peonies I bought that day (what a coincidence! ).